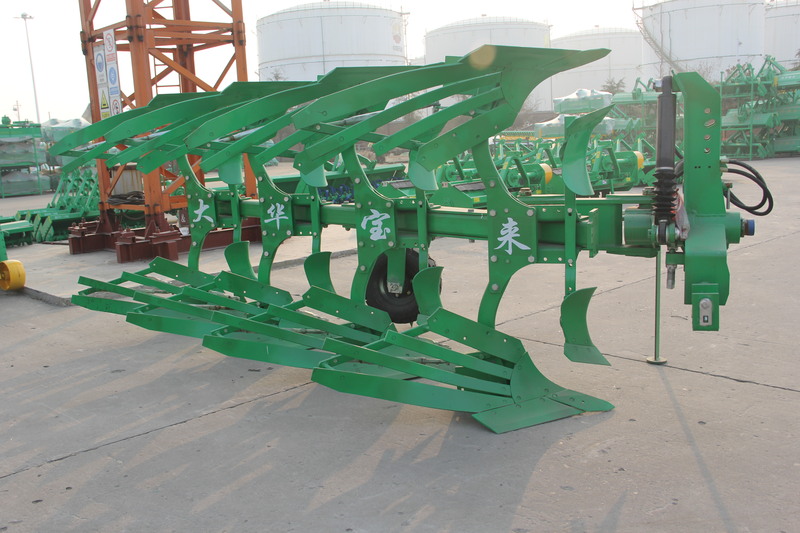 Product categories of Four Furrow Turnover Plough, we are specialized manufacturers from China, Four Furrow Turnover Plough, Hydraulic Turnover Furrow Plough suppliers/factory, wholesale high-quality products of Reversible Furrow Plough R & D and manufacturing, we have the perfect after-sales service and technical support. Look forward to your cooperation! The main parts of the whole machine is made of pure imported materials and processed with advanced heat treatment technology to guarantee the firmness and wear-resisting. The small plough is easy to disassemble and adjust which can be better used in wheat stubble fields. Traction line adjustment of the plow and first furrow width adjusting device can achieve the working effect of the smooth and low energy consumption of the reversible plow. The central adjusting rod is easy to operate when adjusting the width of the plow, and can be quickly adjusted to the ideal state.